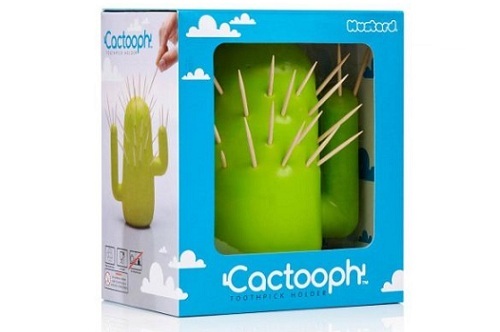 The Cactooph Toothpick Holder stands 6″ tall and is made of plastic. Cool cactus tooth pick holder - the pics are cacti spines. The ultimate cocktail stick holder.